Goosefoots and orches are closely related and many of them are good to eat. Beetroot, and glasswort are of this group. 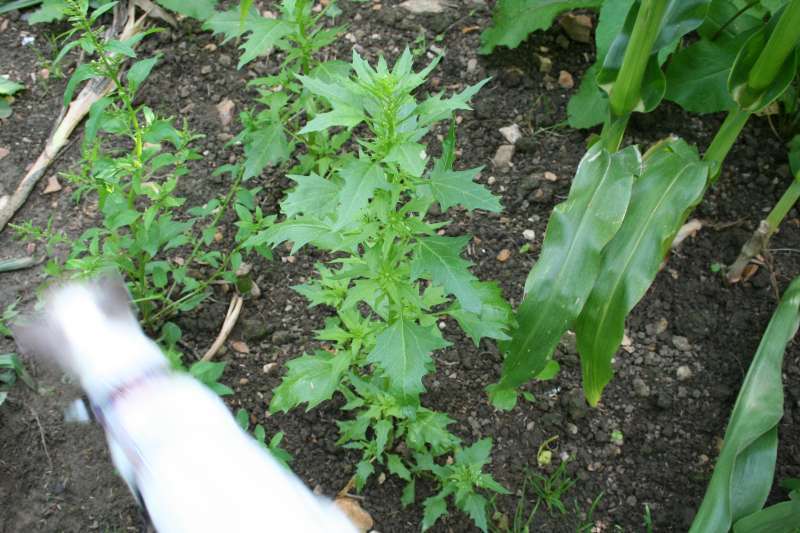 Red goosefoot, shown here growing as a weed in a field of sweetcorn, is good to eat either in salads or cooked as spinache. Picture taken 15th August 3008 in a corn field at Wooton Fitzpaine in Dorset. That's out cat, Misty walking with us.